Farmingdale, New York, USA. January 21, 2018. 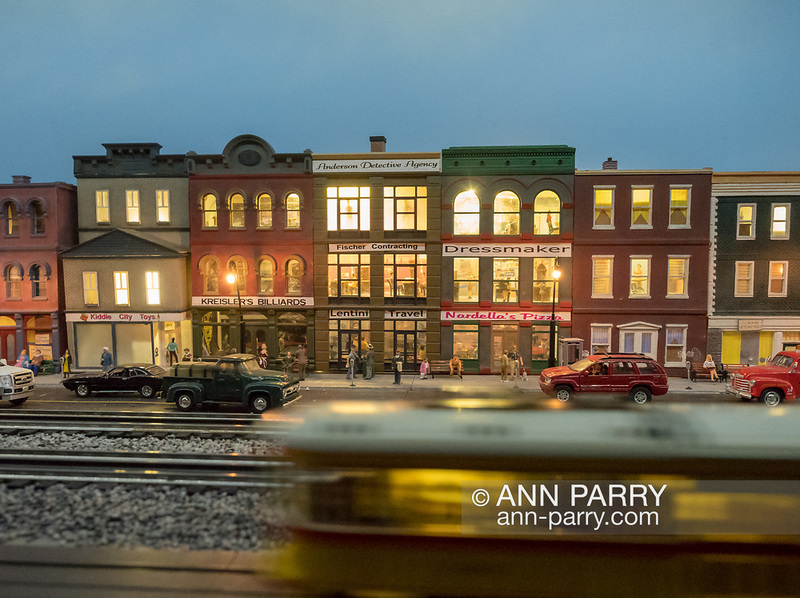 Trolley O-gauge model train speeds by vintage town at Babylon Train Masters Open House at TMB Headquarters.